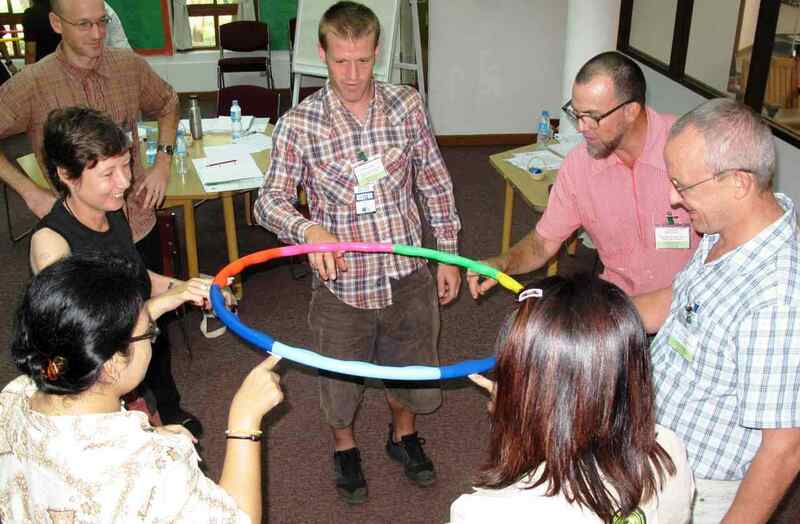 From May 15-16, 2010, the second ‘Becoming a Compass School’ (BACS) introduction workshop was held on the campus of Prem Tinsulanonda International School (PTIS) in Chiang Mai, Thailand. By this time the Accelerator tools had gone through a re-design to better align them with the needs and organizational context of teachers and schools. 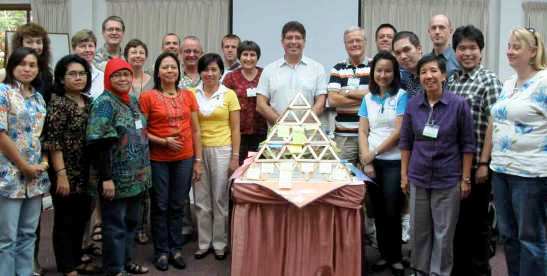 This workshop was attended by eighteen international schools’ teachers and administrators, university lecturers, non-formal environmental educators and others with education interests from five countries: China, Indonesia, Philippines, Thailand and Vietnam. The main objective was to introduce the concept, tools and process of integrating sustainability into schools as a holistic process and approach using the re-designed ISIS Accelerator toolkit for education.